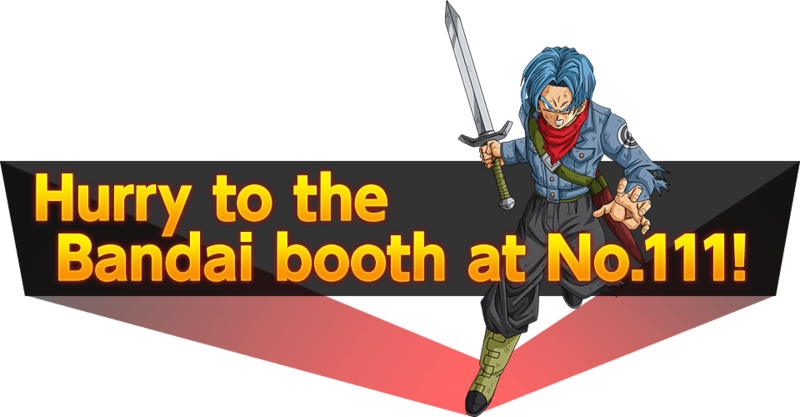 The Dragon Ball Super Card Game is coming to ANIME EXPO 2017!! 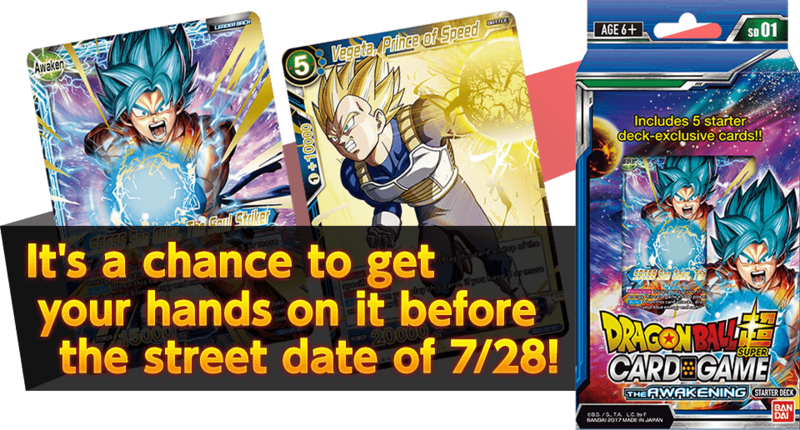 We're holding sample play sessions of the Dragon Ball Super Card Game!! Come experience it at our booth!! 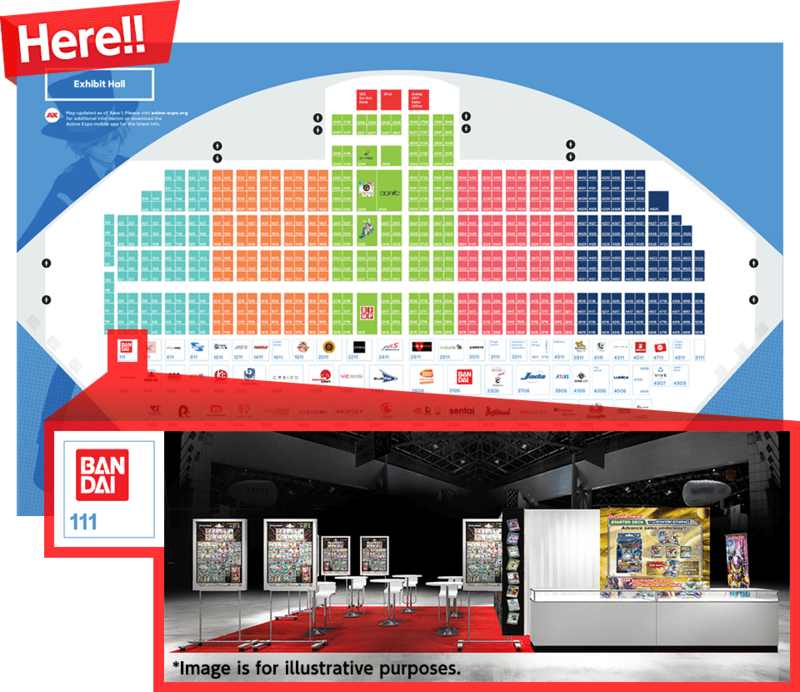 Our Booth # is 111!! You can get a free half-deck and the starter deck!! Join a sample play session to get your own free half-deck! Play the game to solve the mystery! 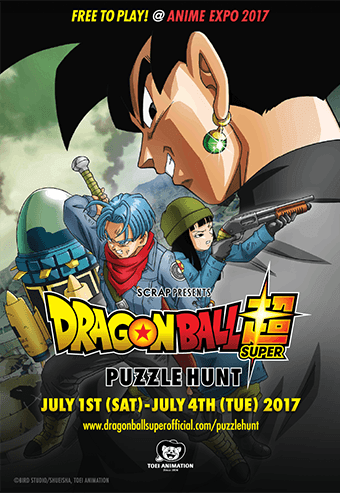 Dragon Ball Super Puzzle Hunt is a free, live-experience puzzle hunt game based on the hit anime, Dragon Ball Super. Players will explore AX2017 in order to solve puzzles in a story-based scavenger hunt. There will be no time limit, and participants can start, stop, and resume the game anytime during the Exhibit Hall’s open hours.